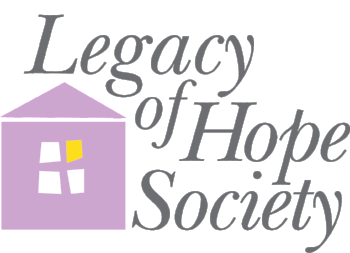 Created in 2014, the Legacy of Hope Society recognizes the extraordinary commitment of people who include SafeHouse Denver in their estate plans. Members of the Legacy of Hope Society receive special invitations to events and are listed in our annual report and on our website. This special recognition acknowledges the long-term impact of their support, which builds a strong, solid foundation for SafeHouse Denver’s domestic violence prevention and early intervention efforts. Visibility of our supporters’ investment in our mission can encourage others to do the same. The generous, far-reaching support provided by members of the Society allows SafeHouse Denver to pursue its mission of assisting adults, children and youth in reclaiming their right to a life free from domestic violence well into the future. Planned giving is a way to integrate your personal, financial and estate planning by making charitable gifts that benefits you, your family and charity. There are several ways you can make planned gifts to SafeHouse Denver and enjoy tax and income benefits. Perhaps most importantly, planned gifts are an extension of what you value as an individual and leave a legacy around that purpose, kindness and motivation for change. Interested in learning more or ready to name SafeHouse Denver in your estate plans? Please contact Valerie Chilewski, Chief Development Officer, at 303-302-6116 or vchilewski@safehouse-denver.org. Through our partnership with Community First Foundation, we are able to provide our loyal donors like you with important information intended to help with understanding planned giving and their benefits. Inside the pages below you will find information about ways you can make a gift to us and enjoy valuable benefits such as lifetime income and tax savings. 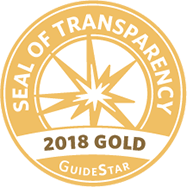 We will be happy to meet with you and your financial advisor to design a plan that is uniquely tailored to meet your philanthropic objectives.